When you're answering random questions going that fast, you probably learn a few things about yourself. Early episodes of Audi's new AMA-while-racing sessions included actress Elizabeth Banks and funny man Adam Scott, and now, the series has moved on to celebrity chefs and internet personalities. During these clips, guests are asked a barrage of questions while being chauffeured around a race track at full throttle. 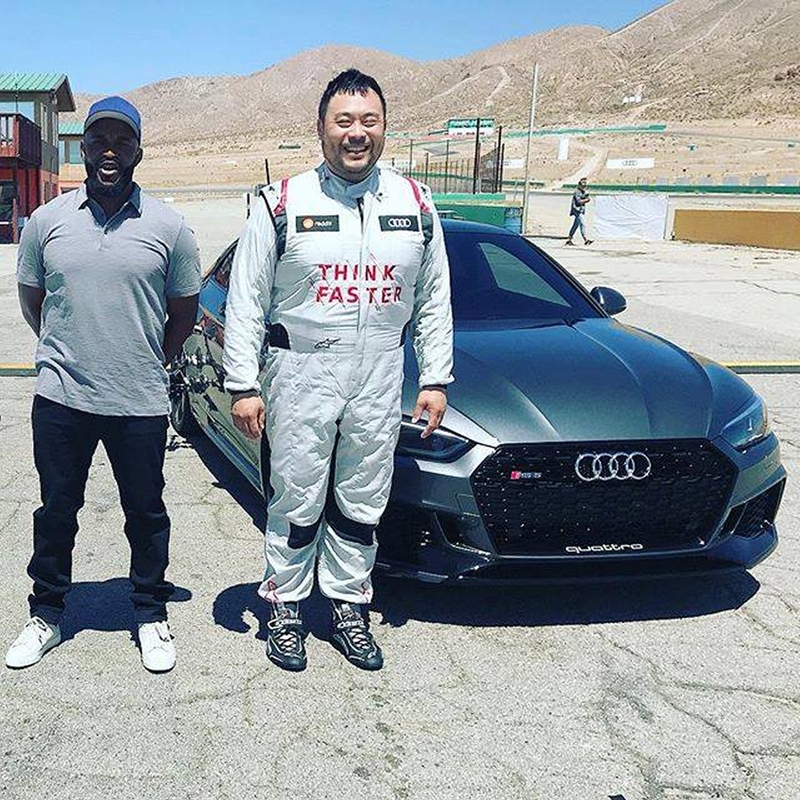 In the latest episodes, YouTube celebrity Liza Koshy and restaurateur David Chang were both put under the truth hammer as they were being steered around a circuit in an Audi RS5. As part of Audi's "Think Faster" event, the first official collaboration between Audi and Reddit, both guests got the opportunity to sit in the passenger seat and drive the 2019 Audi RS5. Hosting the series is television host Sal Masakela who had to, at times, scream through the radio to get those questions across to the celebrities. The questions, of course, were curated by folks in the Reddit community and were actually the top-voted questions in their comment section. 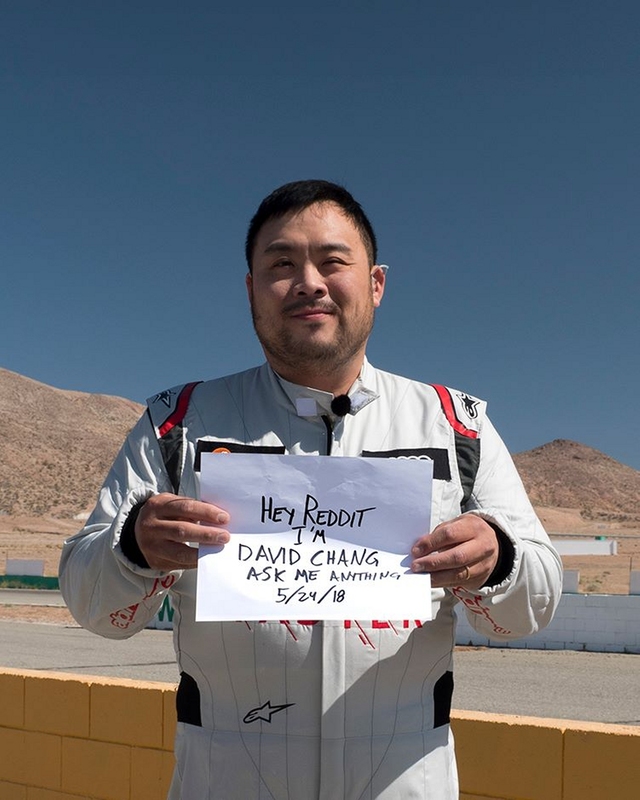 Episode number five featured David Chang who Sal describes as an “an incredible chef, a disruptor, someone who has taken something we all love like food and help us to appreciate it and take a look at the human condition.” He was the first of the two to go around Willow Springs Raceway in the bright red 444-horsepower Audi RS-model. The self-proclaimed Korean Han Solo kept his composure while he went around the corners experiencing g-forces he never would have felt in a kitchen while telling us that the easiest way to peel a hard-boiled egg is to use an old egg and peel it under water. We also got to know that his alternate profession would have been a welder of wrought iron and if he has to eat another celebrity chef, it would be Guy Fieri—and he would do the world a favor by doing so. He also managed to clock a 118-mile per hour trap speed on the straight. Episode six had YouTube personality Liza Koshy who referred to herself as the “off-brand Beyonce." She's the fastest person to hit 10 million followers on YouTube, and she's also one of those people who 'likes' her own pictures on Instagram. Who knew? She was all giggles while being tossed around like a salad in those highly-bolstered sports seats. She managed a 100 mph after hitting the throttle very late. Two actors get interviewed while hot-lapping Willow Springs in an Audi TT RS. Is there a weirder interview segment online?